ITEX Corporation (OTCBB:ITEX), announced preliminary results of stockholder voting at its annual meeting held December 10 in Bellevue (WA). Based on preliminary results, it appears that each of its current members of the Board of Directors � Steven White, Eric Best, and John Wade � were re-elected to serve for an additional one-year term and the selection of independent auditor Ehrhardt Keefe Steiner & Hoffman PC was ratified. Preliminary results as tabulated by the firm�s inspector of elections, OTR Inc., will be announced within four business days, and final results will be announced promptly following certification by the inspector. 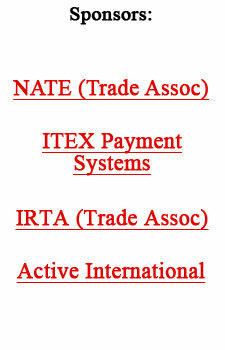 For more information on ITEX click here. An advertising copywriting class at Central Piedmont Community College in Charlotte (NC), has opened their web site www.swaptotheroof.org with a goal of trading seven nails (donated to the group from Blackhawk Hardware in the Park Road Shopping Center) all the way up to a home for a deserving Charlotte family. To check-out their very creative presentation click here. Sponsors are found at the top of every page on the BarterNews.com web site. Quite a valuable place to be positioned given that we have thousands of informative articles throughout our vast site, in addition to barter company listings worldwide. Given the hectic holidays we find the traffic still impressive as entrepreneurs, business owners, and corporate executives are visiting our web site ... with the purpose of learning more about this powerful business tool, as well as the companies offering their unique barter services. For example, last Thursday alone there were 6,343 different page views, wherein individuals visited a particular page to read an article of interest.